Do you find it difficult to get your writer's workshop off the ground? What should I do the first weeks of school? What are key lessons to jump-start my writing curriculum? How fast or slow should I move? Regardless of the writing model you're currently using, this online workshop will provide you with a powerful framework of lessons that can help launch your writing year. At the end of the workshop, teachers will be ready to launch their writer's workshop with their personalized blueprints in hand! Pick between "Verified" and "Flexible" viewing options. Watch the on-demand videos at your own pace. Implement what you learned right away! Understand the four phases of the workshop launch. Learn classroom-tested procedures to establish the writing environment. Set the tone that writing occurs daily. Receive organizational ideas for writers' notebooks. Learn day-by-day strategies to introduce the 6 Traits of Writing so teachers and students are using a common language. Balance free-choice writing topics with teacher-assigned topics. Receive ready-to-go lessons with supporting resources, activity pages, and authentic student writing samples. Kick off the school year with a 20-day "game plan" for teaching writing. Establish routines to effectively manage a writer's workshop. Address common writer dependencies with procedural mini-lessons. Implement a writer's notebook in the classroom. Lead efficient and effective writing conferences with students. Develop a classroom writing rubric that students can use and understand. Transition from procedural lessons into the first writing unit. Which workshop procedures are essential for effective classroom management? What physical spaces and places should I have within my classroom environment? How do I motivate my writers to use class time productively? How do I help my students develop more interesting writing topics? How can I motivate students to go beyond "fixing their mistakes" during revision? What are some proven methods for introducing students to the 6 Traits of Writing? How do I effectively organize my students' writings in notebooks, binders, or folders? Learn the answers to these questions and many more! "I was so excited to watch Kristina's online workshop from the convenience of my own home and still feel like I was at a live conference. She was motivating, engaging, and I finished the workshop with a better understanding of how to go from launching the writer's workshop to developing a yearlong plan." "This was what I wanted to see. I feel prepared and ready to jump in!" "I finally feel like I have a handle on how to approach writing. As a middle school history teacher who has to also do a period of writing, this has been invaluable. Loved it!" "I'm teaching writer's workshop with grades 3-6 and this will help me build & grow students' skills year after year PLUS get classroom teachers comfortable teaching 6+1 Traits in our building." "It is a great feeling to be given the tools to start Smekens at the start of a new school year! Awesome workshops! Best presentation I've been to in my 14 years of teaching!" Once I register, when does my access start? Immediately! Once you register and submit payment, you will be redirected to the workshop page which contains all the videos included in your workshop enrollment. How long do I have access to the workshop? Once you enroll in the online workshop, you can access the content for 30 days. The self-paced format means you determine how fast or slow you move through the workshop. Your workshop registration also comes with lifetime access to exclusive digital resources in the "Secret Site" that accompanies this workshop. Here you'll find classroom-ready worksheets and blackline masters, along with videos and articles to take your learning further. 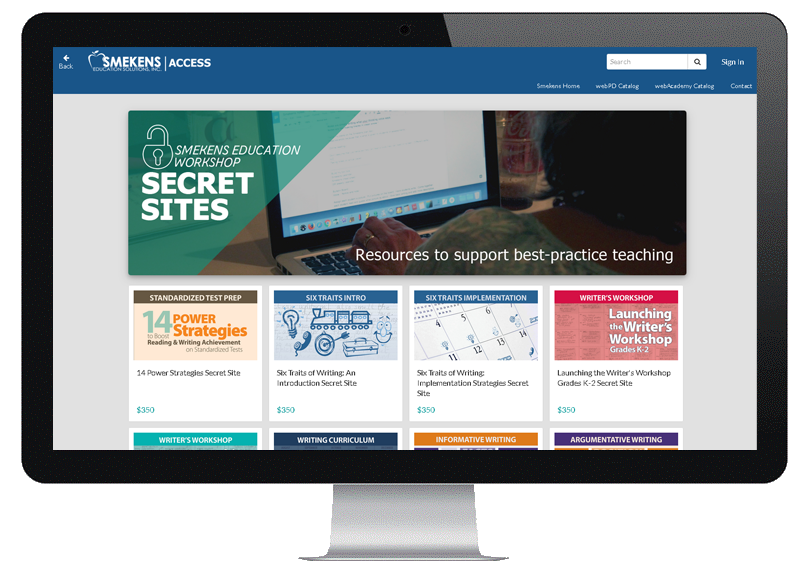 Teachers love the way the "Secret Site" helps them implement what they learn in the workshop. Can I share my workshop with colleagues? Can I get continuing education credits? Most likely! With prior approval from your school district, participants may receive credit for up to 5 hours of professional development for each workshop. A Certificate of Completion is provided to participants when they complete all aspects of the workshop. For possible Illinois-approved credit, please contact our office. Note: A Certificate of Completion is only provided when you complete the Verified View option for this workshop. Can I earn graduate-level credit for Launching the Writer's Workshop: Grades 3-12? Can I earn graduate-level credit? Graduate-level credits offered through the University of the Pacific are non-degree credits which are designed for professional certification renewals and salary step increases. To learn more, contact us by email or call (888) 376-0448. What if I am unhappy with the workshop? We would never want you to be unhappy! 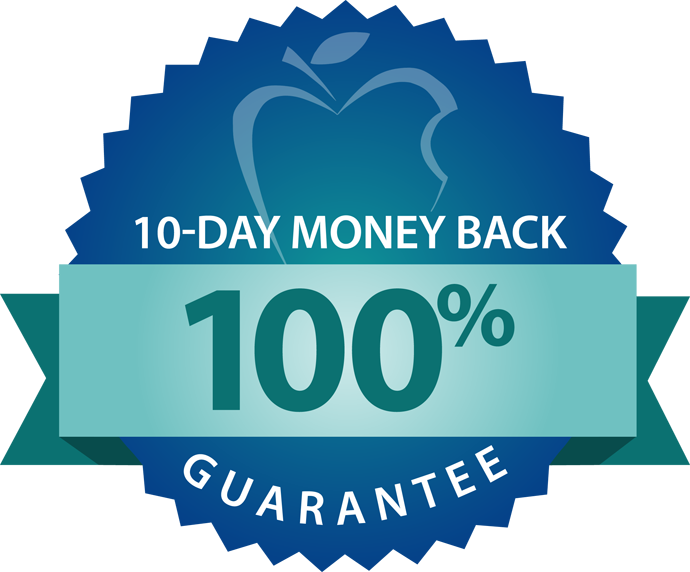 That’s why every online workshop comes with a 100% money back guarantee. We are convinced the simple and effective strategies will transform the way you teach so we stand behind this workshop with full confidence. If you aren’t satisfied, contact me within the first ten days of your purchase, and I will give you a refund immediately. There are no additional forms to fill out, and there will be no delay. Just call (888) 376-0448 and ask for Brady or email me directly. We believe so strongly in this online workshop that we give you our personal promise of a speedy, hassle-free, no-questions-asked, total and complete refund. Teams of 3+: Save $14 per person. Teams of 15+: Call us at (888) 376-0448 for custom pricing. What's included with your registration?